The chairman of the Democratic National Committee on Sunday defended a new multimillion-dollar lawsuit against the Russian government, the Trump campaign and WikiLeaks, with talk show hosts asking whether it was distracting from efforts to rebuild the Democratic Party. The lawsuit, news of which was first reported by The Washington Post, has been mocked by Republicans as well as the Democratic Party’s left-wing critics. While email hacks of the DNC, the Democratic Congressional Campaign Committee and Hillary Clinton campaign chairman John Podesta caused months of headaches for the party during the election campaign — including the forced resignation of Rep. Debbie Wasserman Schultz (Fla.), the party’s longtime chair — many supporters of Sen. Bernie Sanders (I-Vt.), Clinton’s challenger in the Democratic primary, said the party was refusing to reckon with its decline. 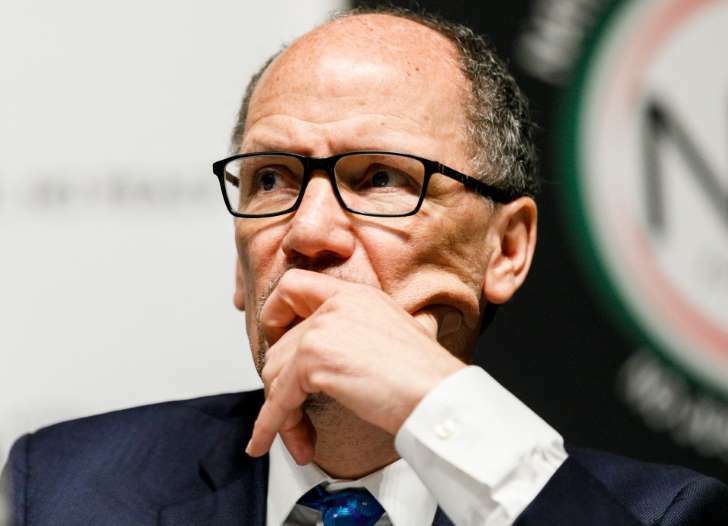 But Perez, who had no role at the DNC during the 2016 campaign, told NBC News’s Chuck Todd that the lawsuit was necessary to protect both the committee and U.S. elections. He said he was “confident that we will get a jury trial” and added that he had “not consulted Hillary Clinton to ask her permission” before filing the complaint. Since the 2016 election, even as Democrats have scored unexpected victories in state and congressional races, the DNC’s brand has not recovered from the damaging hacks. Several civil suits have been filed against the DNC by Sanders supporters, who argue that the content of emails released by hackers showed that DNC employees conspired to help Clinton win the Democratic nomination. The emails produced no evidence that the primaries had been skewed — states and state parties, not the DNC, control primaries and caucuses. But numerous conspiracy theories grew out of the email hack. The family of Seth Rich, a DNC staffer who was killed outside his home in July 2016, has filed two lawsuits against media outlets that suggested that Rich, not hackers, released the email trove as a way of getting justice for Sanders. Under Perez, the DNC has struggled to get past the hacking story. While Democratic campaigns and other party committees have experienced a fundraising surge, the DNC has badly lagged the Republican National Committee. Since the 2016 election, the RNC has raised $171.6 million to the DNC’s $87.7 million. In March, as Democrats celebrated the victory of Conor Lamb (Pa.) in a congressional race in which Republicans had spent heavily, the RNC nearly doubled the DNC’s receipts, raising $13.9 million to the DNC’s $7 million. Pressed on how much the lawsuit might cost — a worry for Democrats in cash-starved red states — Perez said it was “hard to put a price tag on preserving democracy.” After Todd played back criticism of the lawsuit from Rep. Jackie Speier (D-Ca.) and Sen. Claire McCaskill (D-Mo. ), Perez said the fight would be worth it.